SEO Keywords For Real Estate Investors: Are You Sabotaging Your Search Rankings? 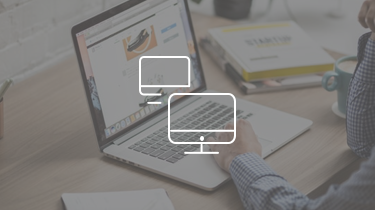 Every month our Carrot clients generate literally tens of thousands of leads. Digging into our data, one really cool stat that we find is, well over 600,000 of all those leads come from one source. That one source is search engine optimization. One of the key things that people kind of do wrong and I did the same thing when I first got started, I would look at the big major keywords I’m trying to rank for, the broad keywords. It could be the “sell my house fast”, or whatever it is. What we found is the majority of the leads that are coming in are actually from what we call local SEO. It’s SEO that’s really based on local keyword phrases. It’s taking keywords that people are typing in nationally and boiling them down to work in your local market. That’s the way that you can crack through the clutter in your market. Don’t go after these big national keyword phrases unless you are a national company. Even if you are a national company, the way that those guys are winning the game is they are going after local keyword phrases with local SEO. In this strategy sketch we’re going to be walking through local SEO for real estate investors and a couple quick tips. The first thing I want you guys to look at is when you go to Google, you put in your search phrase, and you start to see these little suggestions that pop up in Google’s search box. They call them Google’s suggested searches. It could be lots of different things, but it starts with the keyword phrase you put in. This particular example, I typed in “inherited house” on that search phrase. Then Google might serve me up “inherited house with siblings”, “inherited house sale”, “how to sell an inherited house”, and there’s a bunch of other phrases that Google might suggest for search phrases that you are typing in. Now, the cool thing is Google doesn’t just pick these things out of thin air. Google decides on these based on what people are actually searching in. They show those suggested searches based on the search volume. One of the best things we do is take those as keyword suggestions we can go after. Because you know if people are typing those in, we can get content, on a web page or a video in front of them. Now we can get them to our website and hopefully they can become a client. Using this example, it’s a quick and simple process. Once you find a suggested search that is one that you want to create a piece of content on, or you want to get in front of that type of prospect whose typing that in, take that and make it the keyword. Let’s use “inherited house with siblings” for this particular example. Because this is someone who inherited a house, they have other siblings they inherited it with and they are probably having an issue. They might not be sure how to sell it or they are not really sure how to settle that inheritance so it’s fair. Or, how they can sell it quickly and avoid having to work with a real estate agent. Maybe they want to work with an agent, if you are an agent. Now don’t just go after that keyword. Don’t go after “inherited house with siblings”. Go after the localized version of it. You might do “inherited house with siblings in Utah”, or if you are in a certain city, “inherited house with siblings Grants Pass, Oregon” or “inherited house with siblings Miami, Florida”. You can see how we’re taking a keyword and then we are localizing it with the location. That right there completely trims down your competition from all across the country to only now people in your area you are competing against. The cool thing is now we are not competing against the really highly competitive search phrase like “where we buy houses” or “I can sell my house fast”. This is a very, very drilled down search phrase with someone you can really help in probably highly profitable deals or are great clients to work with. What Do You Do Once You Really Have That Localized Keyword? The next thing you do is if you are a Carrot client, we have a tool built into our system called the Carrot SEO Tool and if you are not a Carrot client, there are other tools that can kind of help you do this, or hack through it yourself on your own website by yourself or with your web guy. In our Carrot SEO Tool, what you do is you take that keyword and you put it in a spot that we call the focus keyword section. There’s one of these in every single one of your website pages, every single one of your blog posts when you are editing that piece of content. Put in your entire keyword phrase there, the keyword plus location – “inherited house with siblings Utah”. Then our system is going to say, “Hey, awesome”, so we want to try and optimize this page for that piece of content, for that keyword phrase. What you do is take that exact same keyword phrase and now put it in the title tag. The title description tells Google exactly what that page is about. This is what shows up in a Google search listing when someone searches Google and there’s your listing along with your competitors. That’s the very top part of that Google search listing and you can control that in most websites. Then you’ve got your SEO description. Make sure you write a good short description, about 60 characters or so, but include that keyword phrase in it or one that’s like it. If you follow this very simple process you are going to be ahead of 90% of your competitors because mostly everybody else is going after these really, really competitive search phrases …ones that a billion people are searching for and have a lot of competition. Going after those broad search phrases can be great because they have the most traffic, but how do you win that game? To win… while you’re trying to rank for those really competitive broad phrases, go after five, ten, fifteen of local (specific) keyword phrases with a blog post. Create a blog post on “inherited house with siblings”, title it with your local SEO, Utah, and then find other keyword phrases that are drilled down. Use our local SEO formula and start creating a piece of content every week. Need some extra help finding the right keywords? 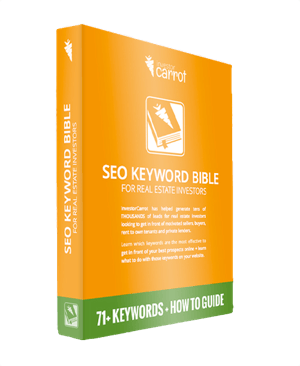 Use the Carrot SEO Keywords for Real Estate Investors Bible! Start Implementing Localized SEO Keywords for Real Estate Investors Now! 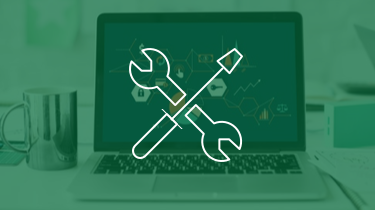 These local SEO tips are going to help you drill down on the right keywords to go after and how to get in front of them. Write a blog post based on the local keyword. Go out there and implement it and let us know how it works for you. 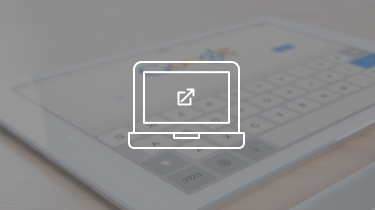 Not sure why your website isn’t showing up on the Google search results? Check out our How Search Engines Work post. Be sure to watch our other whiteboard strategy sketch that walks you through the perfect content marketing schedule for real estate, when to post the content and what should your content strategy be. Also, go check out our CarrotCast podcasts for amazing mindset influences and our other White Board videos on our Carrot YouTube Channel. While you’re there, subscribe and share it up with friends and family if it’s something that’s of value to you.